What are trainee teachers being taught about reading? So, you begin a Bachelor of Education (P-12) course at Victoria University in Melbourne. As part of your first year course, you complete the unit, Literacy Across the Continuum 1. For this unit, you are assigned the textbook, Literacy in Australia: Pedagogies for Engagement and begin to read it. What will you learn? Ms Day is teaching this curriculum because she appears to be beholden to a publishing company. And it’s really bad because Ms Day cannot take into account her students’ prior experiences. By contrast, the inquiry model is much better. Rather than focusing on ‘compliance and accountability’, the inquiry model focuses on real life, is tailored to individual students’ needs and includes things like dioramas and wiki pages. However, before we settle on the inquiry model, we should also be conscious of the critical model which, ‘raises questions about power, gender, social structures and identity’ in a way that has something to do with learning to read. Following this discussion of the available alternatives, the authors suggest, ‘Six guiding principles for teaching reading and writing in the twenty-first century’ which are: Literacy practices are socially and culturally constructed, Literacy practices are purposeful, Literacy practices contain ideologies and values, Literacy practices are learned through inquiry, Literacy practices invite readers and writers to use their background knowledge and cultural understandings to make sense of texts and Literacy practices expand to include everyday texts and multimodal texts. The authors do at least acknowledge that there is a debate over the best ways of teaching the decoding element of reading. However, they frame this as a choice between a ‘prescriptive approach’ that often ‘requires a commercially-produced reading program’ and their preferred ‘integrated approach’ with a less ‘systematic and explicit focus’ that uses ‘authentic pieces of literature’. The textbook does mention the use of phonics a few times (there are two entries in the index) and there is a chart of phonemes. However, this is presented as just one of a number of decoding strategies. Sometimes, phonics is presented as the use of onset and rime and at other times, it is presented as a way of examining the first or last letter of a word. The author’s favoured inquiry model means that letter-sound correspondences cannot be taught in a logical sequence because they need to be taught as they arise in ‘authentic’ text which is often selected based on student interest. The authors also endorse Kenneth Goodman’s view that there are four cueing systems that are used for decoding: graphophonemic (phonics), pragmatic, semantic and syntactic. On the use of semantic cues, the authors write that, “When faced with unfamiliar words, teachers encourage readers to consider the context in which the word is being used”. This is the kind of strategy used by poor readers to guess words they cannot actually decode. As Professor Timothy Shanahan points out, this is a little like trying to teach golf by teaching people the head movements of bad golfers. We cannot know how much reference is made to Literacy in Australia in the Literacy Across the Continuum 1 course. Teacher education is something of a black box. All we can easily analyse from a distance is course descriptors and assigned reading (although in many course descriptors the assigned reading isn’t listed). However, it is all highly suggestive. Promoting multiple-cueing strategies to trainee teachers is not quite the same as promoting blood-letting to trainee doctors, but it’s not far off. We will know we are a profession when we take a more evidence-informed approach to training new entrants. 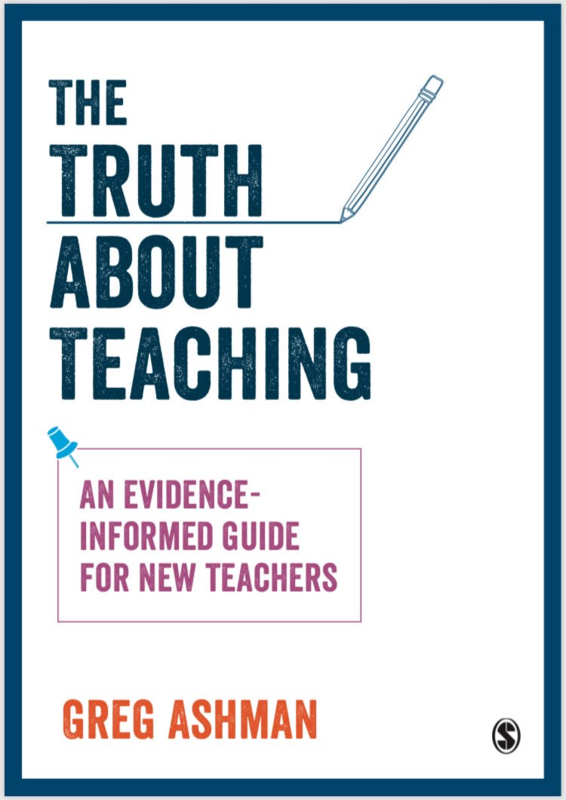 In the meantime, if you are a trainee teacher, or you have recently trained, then I would be interested in seeing your course materials, particularly if you think they conflict with what you have now learned about the available evidence. You may send them to me anonymously and I doing so, you may help shed further light on the inside of that black box. Next Post 100% reading instruction? Depressingly familiar. Looks exactly like the sort of thing we were forced to imbibe twenty-odd years ago. Pretty much same as texts I found being used in teacher education ‘literacy’ course at university I taught at. Immunised my kids against this cr*p by teaching them systemic phonics at home. Irony is, it is the programmes that rely on word recognition and guessing (rather than explicit and systemic teaching if decoding rules), that tie students to texts produced by the publisher whose word list they use. Students who learn phonics can read anything they like after a couple of years or less. We examined ITT reading lists for Primary English in England in 2009, three years after the Rose Review mandated the use of synthetic phonics. Most of these were not freely available–it took some creative sleuthing to get most of them. In all, we obtained reading lists for just under half of all providers in England. Just about the only promising sign was the virtual disappearnce of titles by Kenneth Goodman and Frank Smith, who by that time had become too toxic in the UK. Otherwise, little had changed since the last survey of Primary English reading lists, which had been conducted by Brooks et al for the NFER in 1992. With very few exceptions, the titles were all by the same old faces, and if they mentioned phonics at all, they were generally dismissive. Like the Australian text you cite, there was more focus on politics than pedagogy. Insofar as I knew anything about the politics of the teachers and academics in the synthetic phonics movement, they voted Labour. And Rudolf Flesch, whose best-seller “Why Johnny Can’t Read” first launched reading pedagogy into the public domain, was a socialist at a time when socialists in the US were being peresecuted by Senator Joseph McCarthy. Of course, Flesch was too old for the Post-Modernist philosophers who inform the thinking of those who wrote the BEd course at Victoria University, who seem far less concerned with whether children can read text than whether they subscribe to their own political views. Yes. There is a natural match between Flesch’s socialism and phonics, as the neglect of phonics harms disadvantaged children most, as they are less likely to have the books and support at home that can compensate. Thanks for another great blog. You often write about what I’m currently thinking, which is fabulous. I could respond with literally pages and pages about the implications of students who have been taught to read using a whole language approach (no matter what colour it’s painted) as opposed to a systematic synthetic phonics approach but I won’t… I have already spent many hours today emailing parents, speaking to teachers and analysing data on this topic… like I do every day as part of my role overseeing a literacy intervention program. That type of course content is the reason I pursue evidence-based professional development, rather than a Masters at university. A waste of time and money! How and why? It is so frustrating to see this is still happening. The next thing has to be action – so what can we do? I’ve read a tonne of articles, blogs, research documents, Facebook posts etc etc over the last few years that are just like this and they are all saying the same thing – but is it getting us anywhere? Why isn’t it changing quicker? Why isn’ every school forced to teach using the best research and evidence? Why aren’t trainee teachers taught using informed research and evidence based theories instead of from texts that still spout drivel? Literacy results in Australia have not improved and will no doubt get worse if we continue this way. I’ve had enough! I don’t want to read articles/blogs like this anymore – I want change. I want ALL Australian kids to benefit from this. Rant over. – get involved in your school system any way you can. Attend info sessions and ask about these topics and point people to material like Greg’s blog. – Follow local journalists on social media and point them to material like Greg’s blog and point out where news items or individuals are out of touch with easily available evidence to counter or support ideas. Hello Greg. I want to start this by saying I am not having a go at you or your blog. I am thankful that you and others are helping make the push for a better education system. My frustration comes from feeling that we are coming to a stalemate. I read things everyday about why systematic synthetic phonics should be being used – but the reality in schools is very different. What is my plan? I really don’t know. I wish I had one but I don’t know where to start. I feel tackling one school at a time is not the way to go though, and it somehow needs to be mandated at a higher level. How do we do this? Once again I really don’t know and there are better people out there who i’m sure know the way. It is infuriating though when academics in universities still holding on to their prehistoric notions of the best way to teach – and continue to pass this BS on to poor trainees teachers (I was once one of these and still feel bitter about the crappy education I received at university.) I am happy to help advocate for change, but I suppose I want to be marching in the streets rather than commenting on your blog. Apologies for a second rant. I cannot fathom how our state’s leading university feeds the minds of pre-service and experienced teachers from tasteless, bland and under-cooked literacy menus. Leaders at a handful of schools are currently participating in a 3-year professional learning program at a great cost to these schools. The menu thus far, has served whole-language on silver platters garnished ever so lightly with evidence-based practice. The school leaders I have the pleasure of working with, questioned the menu, sent a few dishes back and often left hungry. This is OK because the school has embraced a delicious literacy program full of fresh explicit instruction with the big 5 of literacy at its core. Choose the restaurant that feeds your hunger. The eater is greater than the academic collective. Napkin, anyone? Thanks for your refreshing and raging truths, written with aplomb and discernment. Over here in America-land, I have been all versions of a literacy soldier – reading specialist, literacy coach, university professor, staff developer, assessment designer, and the wheels are still not turning in the direction of science. I got in trouble at the University for creating my own syllabus that included phonics and structured literacy. In all the Dyslexia Conferences the words “discovery learning” or “cueing systems” are not used at all, and your post captures how manipulative the Kenneth Goodmans of the profession are at boosting the credibility of those two tenets of instruction. I was hoping he was not around anymore. And who is the other guy who thinks all we need are excellent classroom libraries? Richard Allington. It’s time to rise up and I think that’s going to happen.